He went out of his way to make me feel special and was one of the most friendly, energetic ultarrunners I’ve met. His passion for the sport could be clearly seen on his smiling face as I watched him encouraging and greeting runners when they came through to the finish line. About two weeks ago, tragedy struck Michael. It happened the same day Dave Heckman and I concluded our circumnavigation of Death Valley National Park, August 7. Just hours after we finished on Highway 190 west of Death Valley Junction, Michael set off less than 15 miles away in an attempt to run across the Badwater Basin, a trip that would, sadly, be his last. Honestly, I’ve been appalled by some of the public comments and conjecture about what happened. At best, most of them reflect a total misunderstanding of Death Valley, as well as an obvious lack of knowledge of the facts. Unless you have been out to the Badwater Basin and tried to cross the crusted salt flat, for example, it would be impossible to know that, within a short distance, your feet, ankles and sometimes your legs can be sucked into the desert muck that lies beneath a surface that only looks solid. Unless you have run in Death Valley, you don’t understand the challenges of the terrain or the heat, much less how much fluid and electrolytes are needed. Heather and I have been working closely with those most knowledgeable about what happened that day, and even we don’t have all of the facts yet. However, we do know that he had a marginal water supply for the 10K he set out to do, even if it would have been straight across the valley and on a hard-packed surface. Based on the evidence, I’m convinced that once Michael reached the salt flats and started sinking in, he made the smart decision, the same decision I would have made, which was to traverse south and to the east to avoid the salt pan. This decision meant more passable terrain, but it also increased his run to about 10 miles or more before he could reach the road, which still put him 6 miles south of his partner, Sarah Spelt, who was ready to meet him at Badwater. In those 120+ temperatures, he was likely to become a victim because of his limited water and longer-than-planned distance, which increased his exposure to the elements. But he made the only logical choice, and that was to continue on to the road to meet Sarah, who was waiting for him on the other side. Speculation about anything further would be inappropriate, so I’m not going to share more at this time. When all of the details are gathered, Sarah and the family will release relevant information to help others avoid another devastating loss like this, as their only wish is to have something positive come from losing Michael. Michael was doing what he loved. He was fighting the good fight and struggling through life as we all do; that fight unfortunately would come to an end with his untimely death. We have lost someone who not only loved the sport of running but life itself. And he would squeeze it for every ounce of living that he could. For all of us, life is so fragile, but Michael showed us how to live with a zest, and that is how he left us, with a message that there is so much more to life, and we deserve to live it to the fullest … even when there is risk. This entry was posted in Death Valley National Park circumnavigation July 2012, Friends & Family. Bookmark the permalink. Do you know how long it look to go from start to beyond rescue? Would a satellite phone be prudent for others attempting similar endeavors? I have been carrying a Spot Satellite messenger around in Death Valley but I only get out that way in the winter which I would assume is “piece of cake” to you guys. I did get pretty cold up on Telescope peak last January and am bringing more clothes with me this year. Do you have suggestions for minimizing the risk? The spot tracker works well although my first one overheated and died. It has a SOS that goes out and the Rangers were saying that it works. Sat phone is probably the best and program Heli/rescuce/hospital numbers in so it is a no brainer to dial them. Response was very good in Michael’s case after someone found him (likely less than one hour, but I’m not sure). Dave and I really looked at our route and I would recomend taking double or triple the water one anticipates using, be heat trained, and know how much water your body uses by doing test runs of long distances over 2 hours as the body requirements double after that amount of time (my estimate). Thanks for the comment Marshall! Your extra water recommendation reminds me of my Cave Diving days. The rule was 1/3 of your air in then “turn around no matter what” and have 1/3 for the return and 1/3 for an unforeseen emergency. Nice Marshall! Well put, from one of the best-of-the-best out there and one with a great deal of knowledge when it comes to Badwater et al. Beautifully done! Thanks for the great reflections!!! What a sad day even highly experienced runners like Michael are only human and can make small mistakes unfortunately it cost Michael his life,we just never know what mother nature is going to throw at us,May he rest in peace. So he was basically doing the route that Patrick Hodge took when he met the same fate? 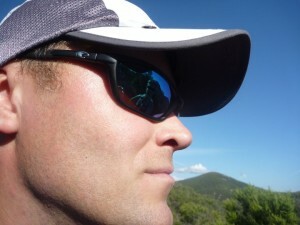 Keith, Patrick Hodge was trying to go from Badwater to the west side road and back again. Michael was trying to go from the west side road (at Short’s grave) to Badwater, but was forced to head further South adding almost double the mileage. I met Michael two years ago, when I started running my first 8k with PCTR and he inspired me in the ultra running, with his inspiration I accomplished my first 100 mile run in less than two years of started running, Michael you will be in my mind and heart for ever. Arturo, yes, it is so sad. Michael will be missed by so very many. Thank you for your comment! 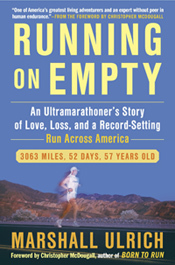 You welcome, I just bought your book ” running on empty” you are amazing. I had the pleasure to run and race with Michael multiple times, including running together for the first 4 hours at Plan100, and doing long mtn bike rides in the Bay Area. Several times we talked about possible new ultra runs we may consider doing. Super nice guy, clearly very experienced, and a pity to see him leave so early.